We quilter’s love (LOVE!) to collect fabric. For each new piece added to our stash there is a limitless list of possibilities and endeavors. 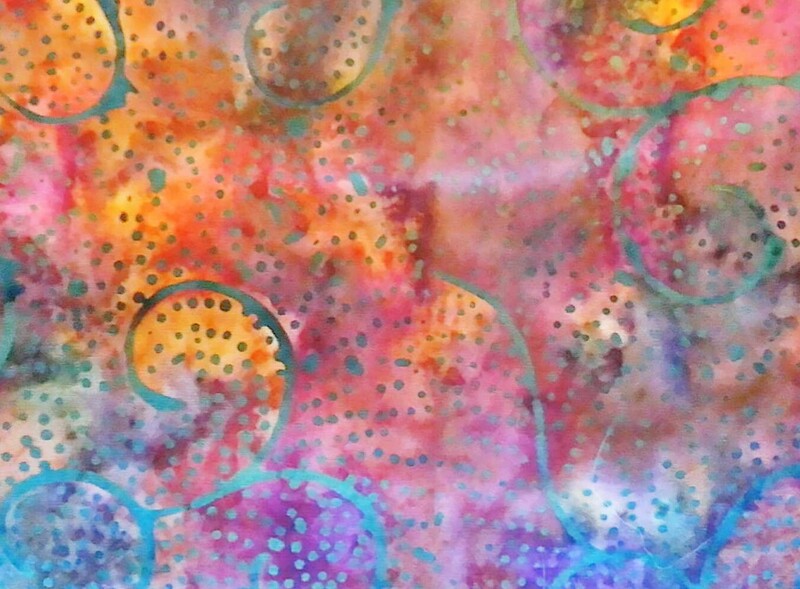 Fabric is a quilter’s passion – well, next to quilting. Every few years I cull through my insanely large stash and refold and reorganize. Since I have recently returned from vacation, I have discovered that my stash is in dire need of this activity and it took me weeks to accomplish! The need for reorganizing is easy to understand. 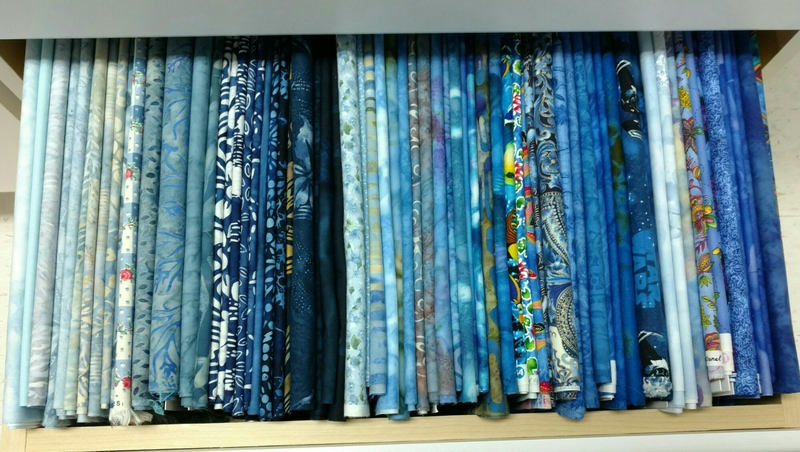 A properly organized stash allows you to quickly find that perfect color match for your next quilt without digging through countless yardages of fabric. (Unless you prefer to spending hours searching and petting fabric rather than sewing – to each their own!) I’m a little OCD, so, I need my stash to be organized by the color wheel. In other words all the blues are together – lightest to darkest. Same for my reds and blue-reds (a.k.a. purples). (I took a color theory class eons ago and my husband is adamant that it has ruined my color perception. I disagree of course because there are some “purples” that are more red than others and putting them in the class of just purple seems just wrong so they are my red-violets!) There should be fabric that fits into each color on the color wheel for your stash to be complete and functional. 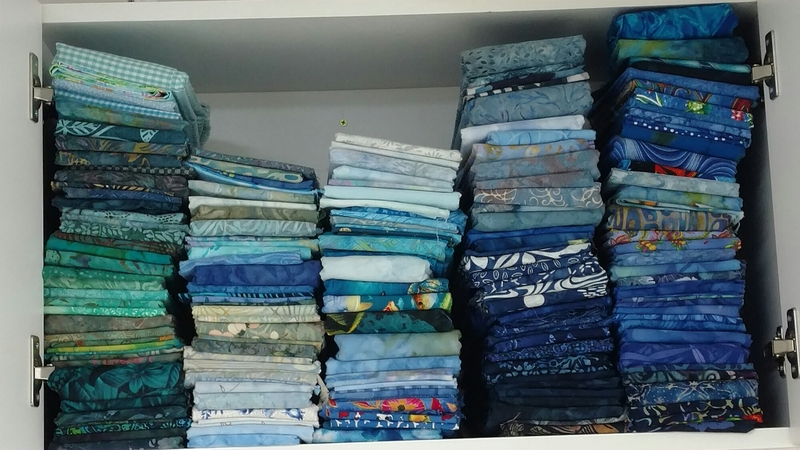 Also, organizing by the color wheel helps you realize that, when your favorite color is blue, there’s never enough blues in your stash (and never enough space for the blues)! Now that I’ve explained why I do this chore. I saw a Pinterest Pin on fabric storage that peaked my interest. Like most everyone, I have been disillusioned on the actual realistic functionality of most Pinterest pins. (My cucumber trellis fell over 3x one year – the trellis idea came from Pinterest.) I figured I would try this particular idea. It involved magazine backer boards. You know, it worked AND it wasn’t expensive! Below are the before and after for half my blues (yea, I really do love blue). The blues are organized by how much red or green they have then by value. I might tweak over the next few months – or maybe actually use my fabric in a quilt (shocker!!!) so that it’s not taking up all the space available in my sew room. It was a huge chore, but it was so worth it for my little sew room! Have fun sewing (or organizing fabric)! 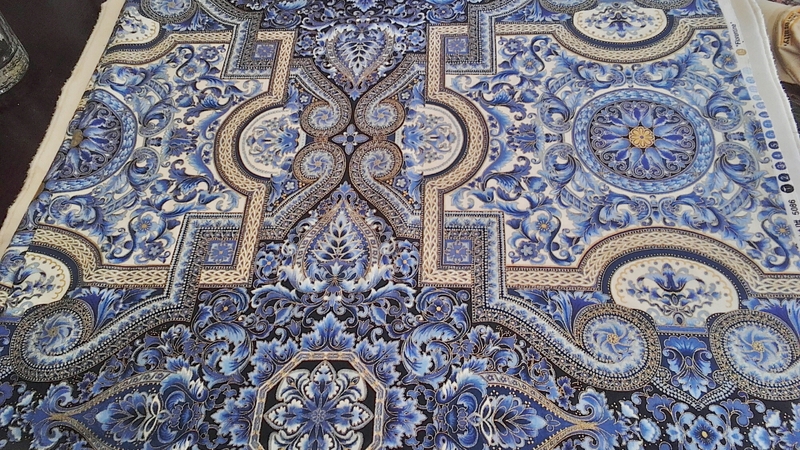 As I was laying out fabrics for my next set of mug rugs, I had set aside this beautiful blue large print fabric along with a couple of complimentary fabrics. I go through 2 phases of fabrics selection — well most of the time – sometimes 2 phases isn’t enough! The first phase is just colors – selecting a collection of fabrics with colors that would look fabulous together. Next might be several iterations of ironing and laying out the fabrics and taking a close look at the printed designs on it. I need to answer several questions before the fabric is used. Will the chosen quilt/block pattern do justice to the fabric? Will I need to fussy cut to attain the desired end product? If, yes, will fussy cutting add or take away from the fabric, and thusly, to the overall quilt? For example, look at the above fabric. In its wholeness, it is quite a magnificent piece. Now, imagine it in 2″ x 2″ squares. Each square would look different. Some would have a dark blue background and others a white background. Some would have leafy, flowery curves and others straight lines and geometric shapes. I could fussy cut it, but then I’d lose the beauty in the parts I elected not to use in the quilt. This fabric screams to be used in a much larger design and, as a result, it was ironed, refolded and placed back into my stash – for now!